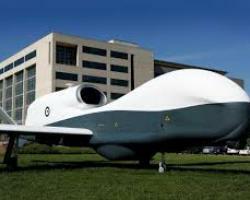 Australia will spend $7 billion (US$5.1 billion) on a fleet of six long-range unmanned drones to monitor the seas around Australia and feed intelligence to its partners in the Five Eyes alliance. Pyne added that the drones would be used to monitor who was in Australian waters, other countries’ naval vessels, for people-smuggling and illegal fishing. “We cover about 10 percent of the world's surface in Australia in reconnaissance and surveillance for our allies, particularly for the United States,” Pyne said. The drones are equipped for detailed surveillance and will not be weaponised..